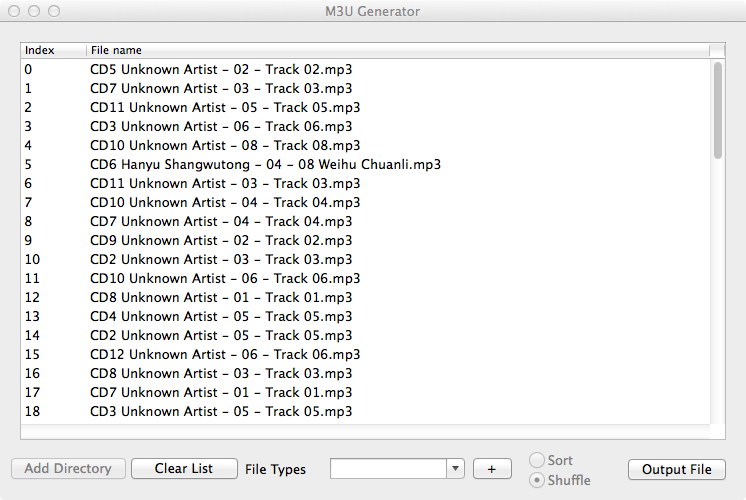 Wrote this M3U Playlist generator for Mac OS X real quick. I use it to create playlists for my WD TV Live. New in 1.1 is sort or shuffle option. Select whether you want to sort or shuffle add the directory then output the playlist. Really simple and quite useful for me at least.